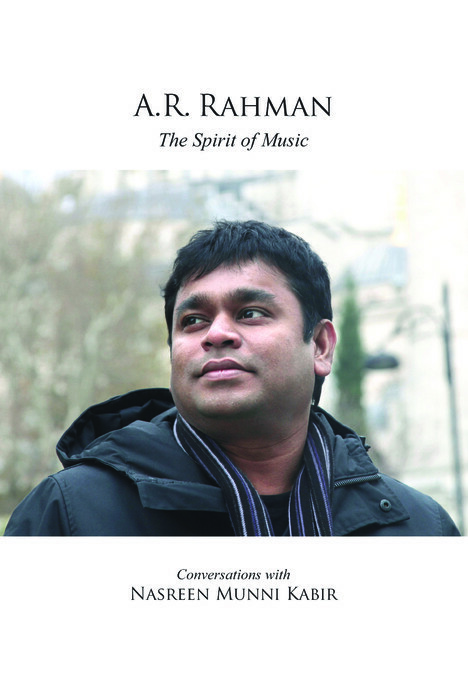 The book launched on April 6. finally AR Rahman's original 'connection' (cd cover) album will be available with this biography..
'It is indeed a rare honour to publish this book. A.R. Rahman's journey, like that of most great artists, is one that moves and inspires. Nasreen Munni Kabir has recorded this journey, over the last three years. This book also has a CD with A.R. Rahman's compositions for free distribution with the first edition,' Says Ajay Mago of Om Books International. AR Rahman tweets : Under The Umbrella...ala..ala..ala.. In the proceess of launching the book, something historic happened..
For the past two years, I wanted to give a token of appreciation to all the people involved in the making of my music for twenty blessed years ! It never happened due to my constant travel and the rollercoaster ride of my life last year so I quickly got out the mementos that I'd gotten made and thought of simplifying the process. The idea was to honour the directors who came up with the concept of songs and mentoring the entire music making process with me and the lyricists who wrote those lyrics that changed peoples lives (in good ways :)) and also the musicians, singers and sound engineers. So I decided to do it in phases and the first honours took place in Mumbai with some legendary directors like Mani Ratnam, Subhash Ghai, Govind Nihlani, Ram Gopal Varma, Ashutosh Gowariker and the younger lot like Imtiaz Ali, Bharatbala & Anthony. The others got stuck with their pre-commitments and I will catch up with them shortly.